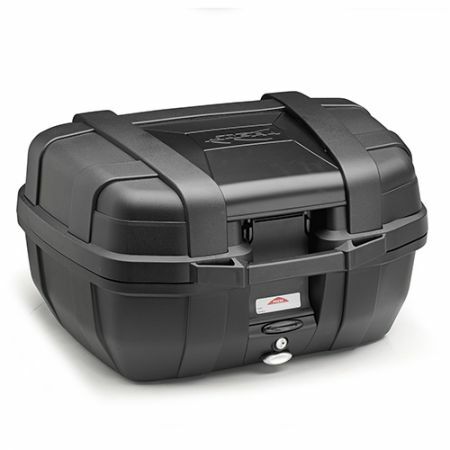 Top-case black line, capacity 52 ltr, equipped with black cover on top-shell. Black, 52 ltr capacity top case supplied with the revolutionary MONOKEY® fixing system, with an black colour external cover and Fibreglass reinforced technopolymer base. Being waterproof is its main characteristic. There are various optional accessories available to purchase, for example, the KGR46/33 GARDA, which can be used as MONOKEY® top cases or side bags, available in two different sizes, 33lt and 46lt.